The Science Faculty has been graded as good overall based on the department review of 2016/17 and work during 2017/18 in the first two terms. The new examination courses and the uncertainty about assessment standards for these qualifications has limited the evaluation grade at this stage. Since 16/17 the Science Faculty has gone through a significant period of change. 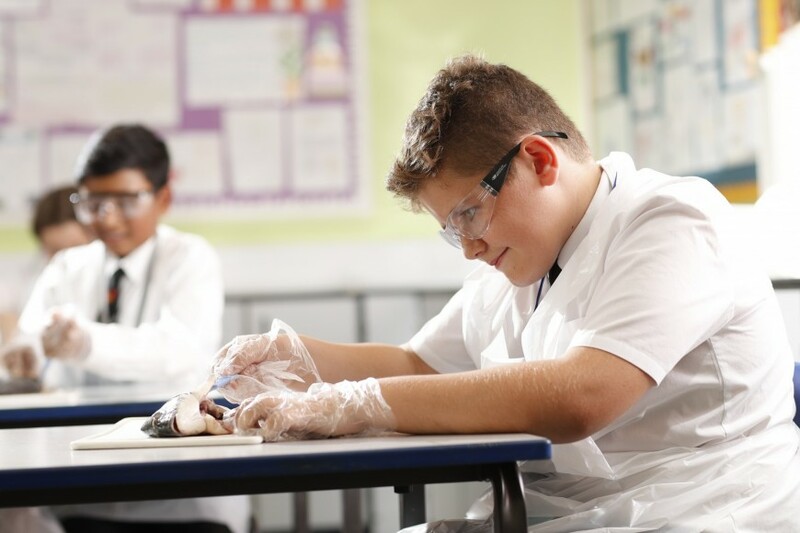 From September 2018, the curriculum time at Key Stage 4 has increased allowing Science to be taught in discrete subjects of Biology, Chemistry and Physics with each subject having a separate two hours each week with a specialist teacher. In January 2018, we reviewed our leadership structure and moved to separate science departments with a subject leader in each of Biology, Chemistry and Physics. Key Stage 3 continues to be integrated and taught by one teacher but covers the three sciences in readiness for key stage 4. The faculty has its own special block. Four new classrooms were added three years ago, which means that all teachers have their own classroom/laboratory. The large number of laboratories are used for regular practical work; there are also two computer suites, a dedicated KS5 BTEC classroom, and a number of prep rooms which are well organised and used by the technicians. We recently provided a larger science department office for staff to use when working and for meeting times; this supports communication and collaboration across the faculty as well as within each department. Core Science A*- C 72%, with 44% B+ from a whole year cohort. Additional Science A*- C 82%, with 59% B+ with 266 entries (90% of the cohort). Further Science A*- C 100%, with 94% B+ and 90% A+ including 63% A* from 48 entries. EBacc VA was 0.06, but this did not include the Further Science results. Lower attainers scored 0.45, Middle attainers 0.19 and the scores at Higher would have been sig+ if Further Science was included. The Further Science cohort would increase their VA by 0.65 per student with the overall science VA increased to 0.18 if Further Science were included in calculations. Summer 2017 was the first time students have taken GCSE qualifications with no BTEC courses being run as an alternative so these results are particularly pleasing in light of all students who sat the Core or Additional Science exams. A Level sciences were in line with expectations and there were excellent outcomes achieved on Level 3 BTEC courses. All BTEC courses achieved excellent value added (i.e. excellent progress from students’ starting points) with value added outcomes of 0.71 and 0.45. The Science Team are proactive, motivated and extremely hard working. Staff are committed to students in their classes and work effectively to ensure all students make progress. We have an excellent team of technicians who support the work of the faculty and support students’ science experience. The curriculum offered in 2016/17 meant that students could study a qualification recognised by schools and sixth form colleges as robust and relevant to the next step up. 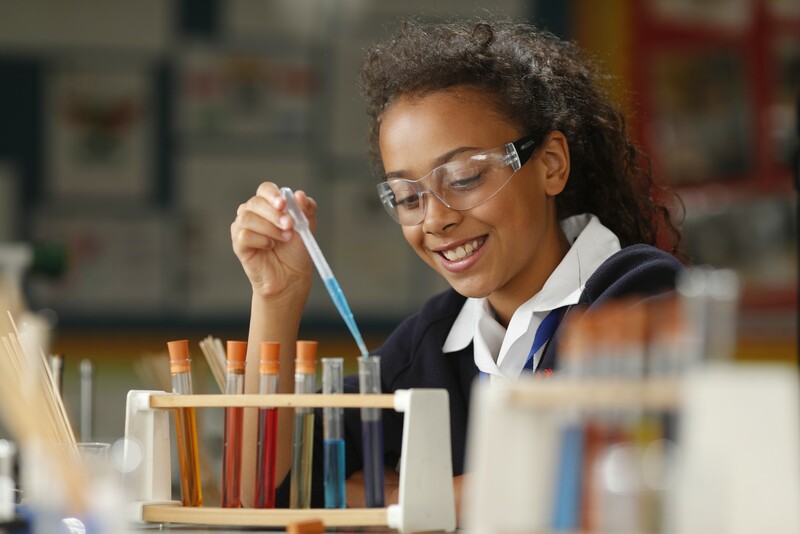 At KS4, courses offered included Single (Core) Science, Double Science (Additional and Core) or Triple Science (Core, Additional and Further). At Post-16 students could study Biology, Chemistry and Physics A level or BTEC Science in Chemistry and/or Biology. This summer (2018), students will be sitting the new Combined Science GCSE (worth two GCSEs) or Biology, Chemistry and Physics GCSEs. These new courses have additional content and standards are demanding. The department has worked hard to support students to prepare well for these new style examinations. The faculty has used outcomes from the new A levels last year to develop their curriculum, and is also working hard to support the new BTEC courses at level 3. The Science faculty continue to look for innovative and improved approaches that they can use in their teaching, learning and assessment to improve lesson delivery and outcomes. For example, using Google Classroom, which KS5 students are particularly excited about, using visualizers more in lessons to show demonstrations or how to assess and improve work more effectively. 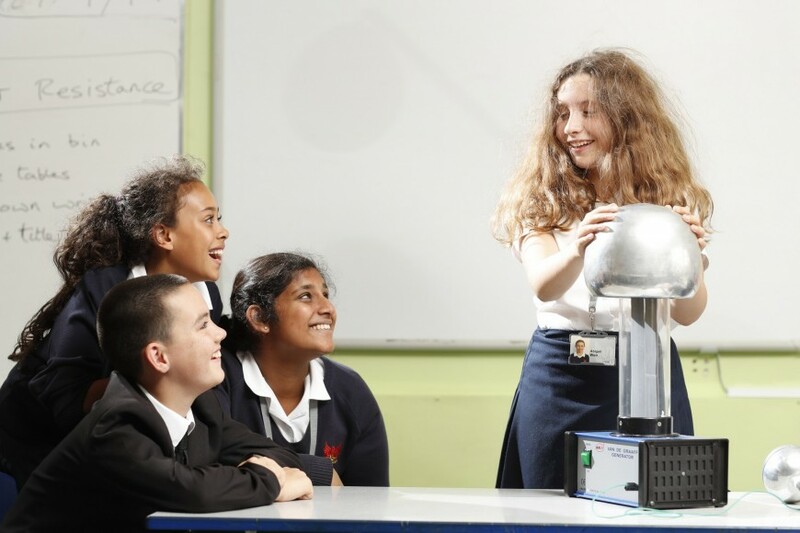 Lessons are well supported by the Science Technicians and support team who efficiently provide materials and equipment for the many practical experiments and coursework activities, make suggestions about practical work and support with the A Level Core Practical preparation. The department have high quality central tracking systems, meaning that student progress is closely monitored with intervention plans put in place and shared within science leadership, faculty and department meetings. This is particularly true in KS4 and KS5. This analysis supports the excellent outcomes that many students achieve. Behaviour in Science lessons is very good; in many lessons across all key stages there are excellent relationships between students and teachers. 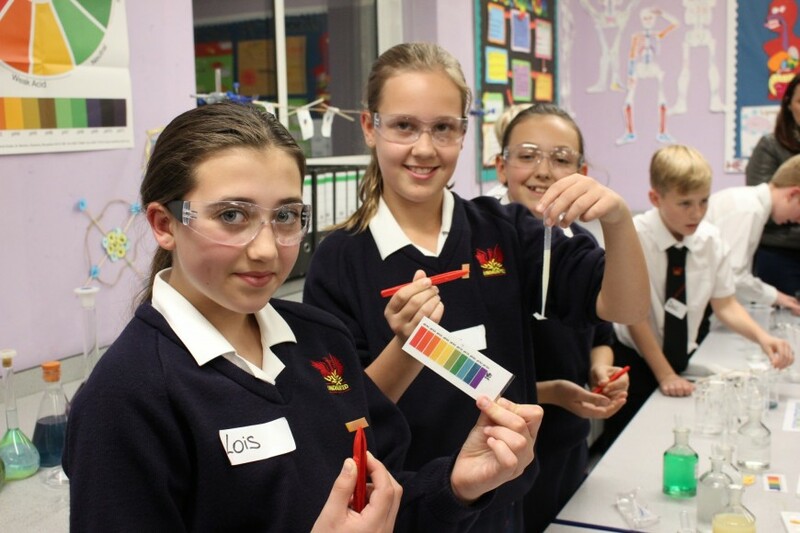 Students seem to enjoy the different science subjects (Biology, Chemistry, Physics) with no particular favourite or dislike across year groups, though individual students often favour particular subjects. Students speak positively of their Science lessons, and enjoy doing practical work in particular. Students attend Science Surgeries/Intervention sessions in their own time, especially in examination years. In September 2017, 18 students progressed to university to study a closely science related course eg biological sciences, engineering, medical courses; a total of 39 students went onto science related courses including mathematics and sports science. Girls were well-presented in both groups, with 11 girls and 25 girls respectively. We have continued with KS5 support and intervention to help students’ catch up on any missed work, check and develop their understanding and prepare thoroughly for their formal examinations; there are two different types of intervention and individual students are signposted to meet their needs. Students appreciate the support and the take-up reflects this positive response. Revision classes and targeted intervention sessions are run for KS4 with students put into focus groups to target the areas they most need to improve. However, the faculty planned to finish the course with sufficient time to support some revision during lesson times so that all students can be supported. The additional curriculum time in the future will also benefit students’ preparation. The Science Department ran a very successful Science Week for 2016/17 and are looking forward to the next one already. Events include an enzyme project, DNA extraction from kiwi fruit, engineering challenges and egg landers (some survived whilst other egg landers came to a very sticky end!). The department set up a 'Women in Science' event for Year 9 students as an opportunity to investigate Science careers in 16/17. This was attended by many different women from science backgrounds such as engineering and pharmaceuticals and it is planned to run this again in 18/19. 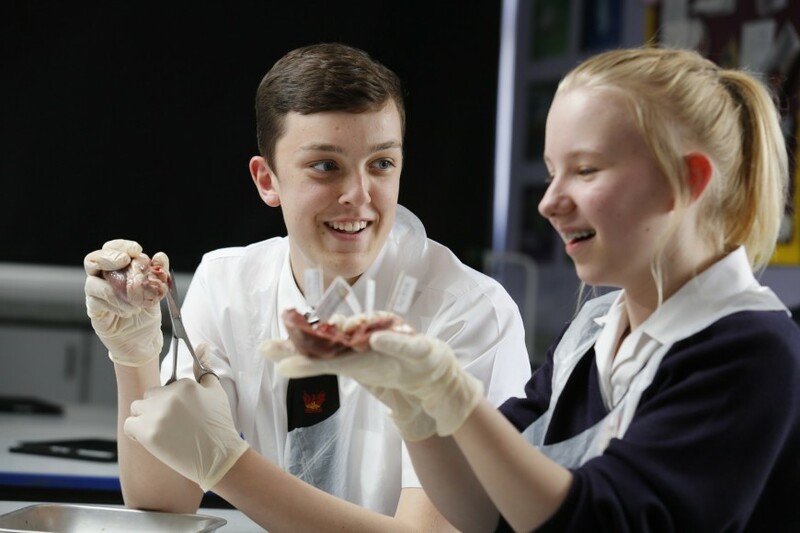 Students and staff have enjoyed various trips run in science, for example, to Bodyworld in Belgium, The Rutherford Laboratories in Oxford and CERN in Switzerland. There are plans for future trips and events for 18/19. In 17/18, events have included a trip to Teen Tech for year 8 students as well as an observatory trip. A trip is planned to the “Big Bang Fair” in July. 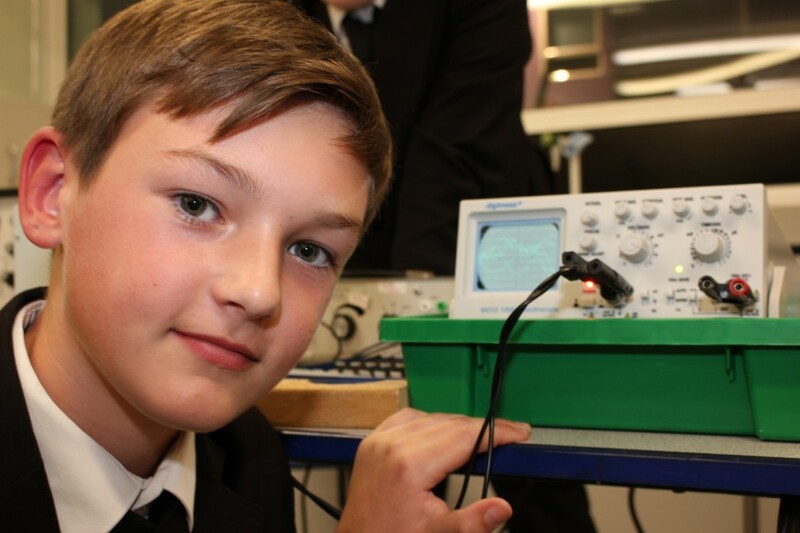 Year 7 students visited the Science museum last year and there is a weekly Science Club for KS3 students. Continued development work in preparation for the new GCSE in Combined Science and separate sciences at GCSE as well as the new level 3 BTEC courses. This will include using feedback from the first set of examinations to refine and develop what we do. Review and development of A level courses in light of examination outcomes. Reviewing and improving the KS3 curriculum so that it effectively supports the KS4 curriculum. Continuing to build the expertise of the Science Leadership Team.